The Tamil Nadu Secondary School Leaving Certificate (SSLC) or Class 10th exam results were declared today, May 23, 2018. The pass percentage of this year is 94.5 %. A total of 10,01,140 students appeared for the exam this year which is a drop from last year's 10.25 lakh students who took up the exam last year. Sivaganga, Erode and Virudhunagar districts have topped with pass % of 98.5; 98.38 & 98.29 respectively. It is reported that 96.4 per cent girls qualified the exam; while it was 92.5 per cent boys passing out. I have been posting about our full-time tuition centre SYMA Growth providing quality tuition free to under-privileged children. SYMA Growth students hand-picked from lower strata of society have done well. 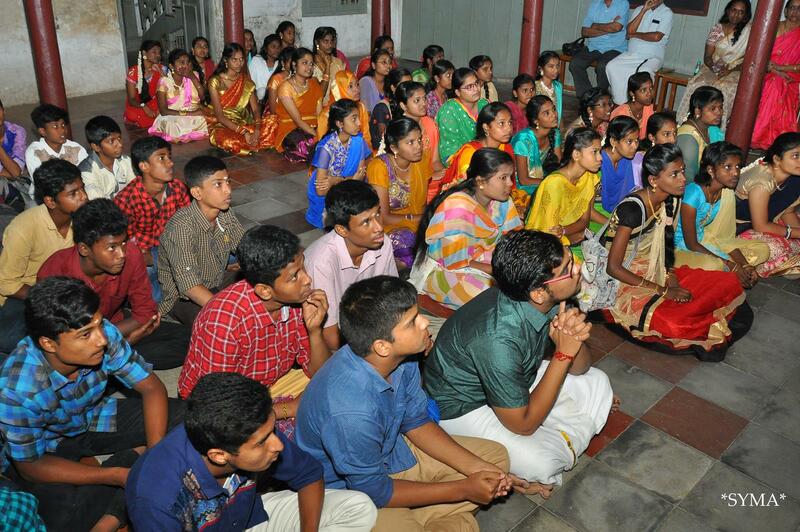 In Engligh Medium 22 students passed - out of 24 ; 3 of them secured more than 400 marks. B.Manikandan 450 is our centre first. 13 students got above 300. In Tamil medium 18 students passed of 20. 300 to 400 - 9 students. As you may know now, there is no State level ranking !!! - State-level ranks will not be released this year as well to ensure that students don’t get disheartened by an unhealthy competition. “We have done away with the ranking system as even one mark will cause serious distress,” said School Education Minster KA Sengottaiyan. Students, who have not done well in the exams, should not get too stressed, Sengottaiyan said, adding that those in need of counselling or help can use the 14417 helpline. He said that parents, who notice unusual behaviour or sadness in their wards, should use the helpline immediately. But is that not a disincentive to those who perform well .. .. .. because DD / KX1 / MI / RCB failed to qualify should we not speak of champions CSK ? At our SYMA Growth, a couple of years – all 21 students of Tamil medium passed; in English medium 29 out of 31 passed; unfortunately the two who failed – failed in Tamil language. Growth topper secured 490 – toppers of NKT Boys High School and National Girls High School were from our Growth ~ that way, there is lot of scope for improvement. We rededicate ourselves and would start functioning in the 11th year of operations of SYMA Growth ~ the quality tuition centre for poor and downtrodden. Applications have already been issued and the last date for returning the completed forms is drawing to a close in a couple of days. We will scrutinize the applications, conduct a private interview and select the deserving candidates. Welcome you all to visit our Educational centre and provide us suggestions and support. No words can describe our gratitude to the management of NKT Boys Higher School. We thank the NKT Management for providing us the infrastructure and all the support. We thank the Head master of the School Mr S Venkatadri. We pray to Almighty for continued success of this project and look forward to continued support of you all. The success is due to the blessings of Lord Parthasarathi who guides us in all our steps. We must place on record our thanks and gratitude to those teachers who taught these students with great dedication, commitment and devotion. Our Coordinator Mrs Thara and the team who assisted her also deserve special appreciation. . A Big Thank you to all of you who have been supporting us in all our endeavours. Together We will strive to make the society better place for all of us. ~ and very very special thanks to M/s Manpower Inc for their sponsorship. Gratitude is due to Mr PV Venkatesan of Manpower. Chennai Metro rail extends its outreach ! Faf innings .. and how did CSK win ??? Dispute in name ~ Kerala Court intervenes !!! why vanity bags command such a high price ?!?!?! ?